"About two years ago, the Montgomery County Sheriff’s Office underwent a massive change over from 35mm and Polaroid film to an all-digital system. This process included cameras and memory cards for the entire county, a new Fuji digital mini lab and FORAY’s Authenticated Digital Asset Management System (ADAMS). This system has increased our productivity and shortened the amount of time spent in our photo lab. We are also able to scan and archive 20 + years of negatives into the system which saves massive amounts of space in our file room and makes the cases easier to find and access. Detectives, District Attorney Investigators and our Medical Examiner’s Office are able to access the database, via the web, and look at all the photos submitted making their job easier and saving us money (not printing pictures for every case) in the process. With ADAMS, we are also able to photograph latent prints straight into a case, calibrate them 1:1, print them out the same for comparison purposes or send them through the network to our AFIS terminal to search. All the photos entered into ADAMS are issued a random serial number and locked down so the original image can’t be altered. ADAMS also comes complete with a full Audit Trail for court purposes. This system has allowed our agency to take better quality images through digital technology, store them, make them accessible on our network and audit any and every thing done to them while saving us time and money. In the process of obtaining ADAMS, we also purchased the Property and Evidence System. This system can be used in conjunction with ADAMS or independently. This system allows our Property Division to enter and track all evidence through a web based bar code system. This system allows us to do several things within our department. First, it tracks all incoming evidence from location to location. It also tracks the evidence through the processing stages in the Crime Lab if applicable. 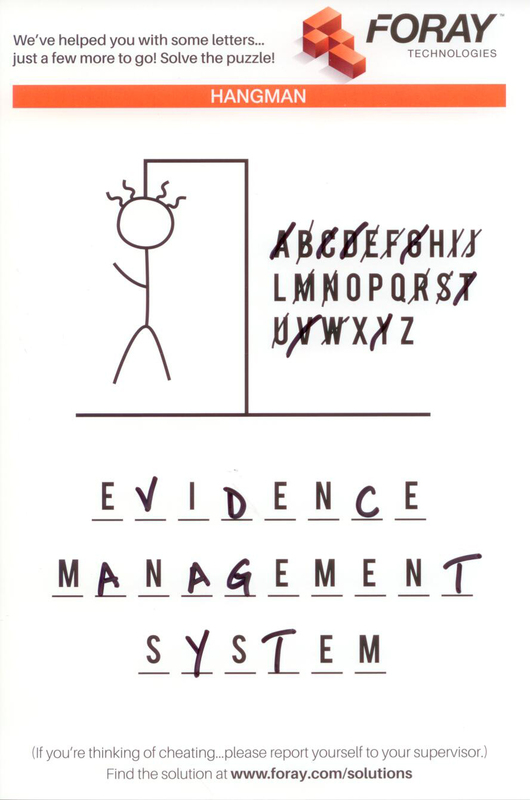 When evidence is processed, it allows notes to be entered by the person that processed it. You can also enter / barcode sub-items for evidence that is collected from evidence. New features have allowed moving multiple items from the same case and even different cases stored in the same area all at one time. This system has allowed us to keep track of and find evidence easily and keeps the storage areas neat and clean. The entire system keeps an audit trail just like ADAMS so you will know who accepted and entered the evidence, who checked it out, who checked it in, etc… In short, it keeps your chain of custody for court. Being web based, has allowed Officers and Investigators to see what evidence was collected and processing results, if any, through their desktop computer which increases our productivity because the Property Clerks aren’t having to answer these questions over the phone.